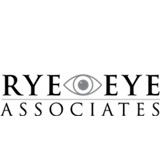 Rye Eye Associates (Greenwich) - Book Appointment Online! If you're considering a cosmetic procedure to enhance your face or eyes, it's natural that you'll seek the most qualified source you can find. Today, accessing an exceptional level of care is comfortable, convenient and close to home, thanks to Dr. Ameet Goyal and his team. We invite you to explore Dr. Goyal's extensive credentials and learn about the range of specialized techniques he offers. You'll also find out about his personal, attentive approach to patient care. It's important for giving you a positive experience with us and is essential for achieving the precise results you desire - the youthful and refreshed look that reflects your true, vibrant self. Dr. Goyal came highly recommended and I can see why.... he was professional, yet had a sweet Hunan side, super knowledgeable ,yet spoke in a way I could understand, the best part is that he addressed all of my needs, and there were several in a single visit! I highly recommend him!